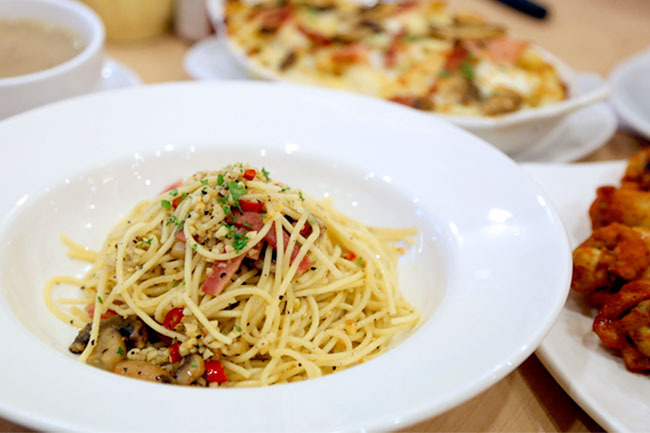 Pizza Hut – Not Just Pizzas, But 12 Different Pasta Perfetto Dishes! Pasta Hut? Wait, I was not seeing wrong. Before I walked into the restaurant at City Square Mall, I took a double take at the signage. It was “Pasta Hut” all right. Did Pizza Hut decide not to sell pizzas anymore? Not quite so. 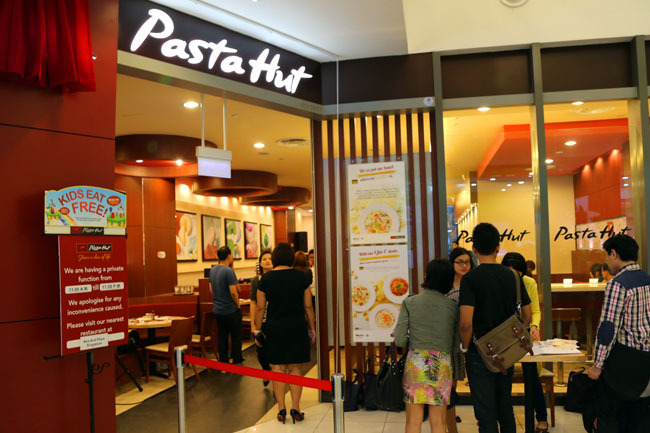 It turned up that Pasta Hut was a special four-day branding promotion from Pizza Hut to tell their customers that “Hey, we sell pretty good pastas!”, and has expanded its pasta menu. 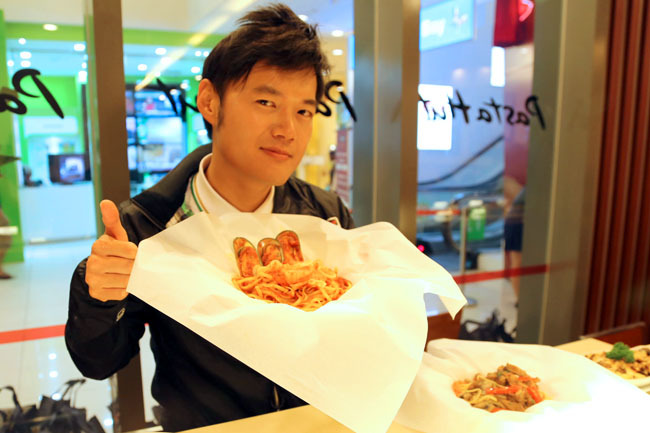 For this promotion, there are a total of 12 delicious pasta choices! Perhaps not as many know that they have quite a range of pasta choices, all made using the freshest ingredients by the dedicated cooks. 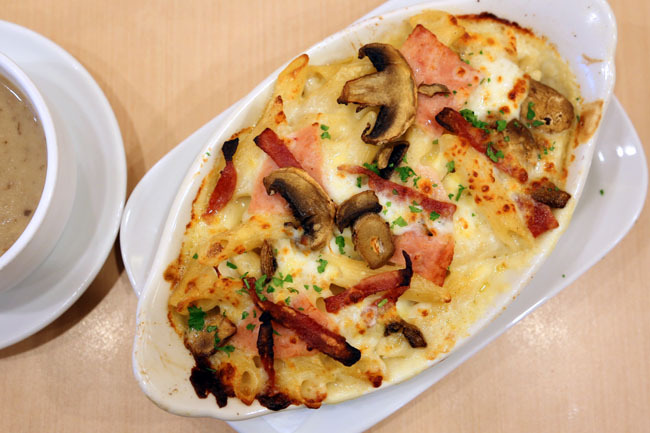 Pizza Hut also now offers three brand new creations including Turkey Bacon Aglio Olio ($8.90), Roasted Chicken Leg Parchment ($14.90) and Baked Penne in Truffle Cream Sauce ($11.90), all at rather wallet-friendly prices. I went straight for the Baked Penne in Truffle Cream Sauce. The choice was obvious. 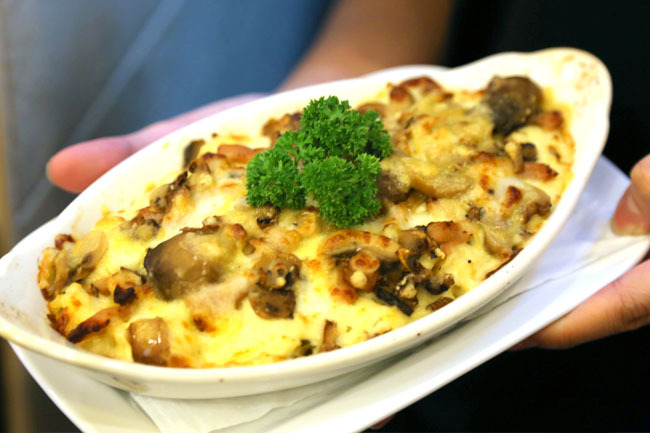 The new pasta dish had three of my favourite features – truffle, cream sauce and its baked. Quick advice: Eat it while it is hot. As the penne was baked which somewhat reminds me of lasagne, the entire dish remained warm for a while with a distinct smell of drizzled truffle oil that wrapped around faintly every penne. (You may want to smell its aroma before eating.) The cream sauce was fortunately not too thick or thin, therefore you won’t feel too heavy even after indulging. 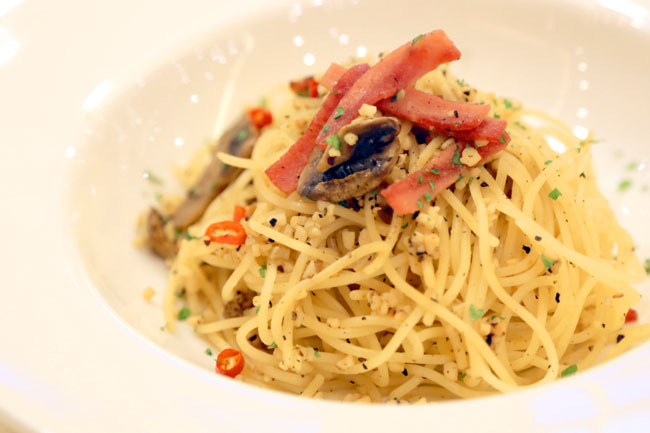 For those who prefer something lighter, you can go for the Turkey Bacon Aglio Olio which has a slight tinge of spiciness which would appeal to those who like something more peppery and fiery. It was suitably Al Dente, cooked using Barilla pasta which is the world’s leading pasta maker. 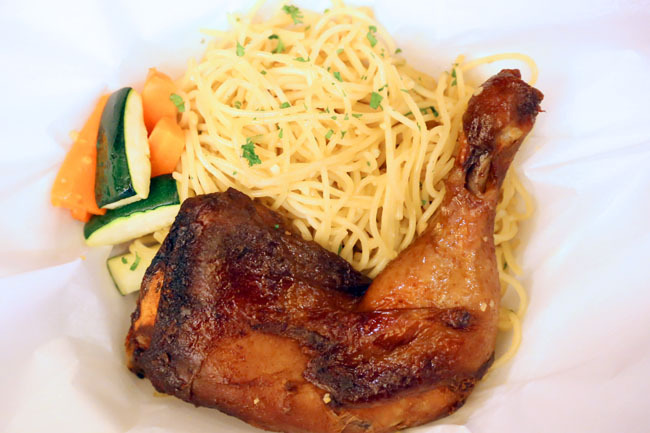 The Roasted Chicken Leg Parchment is quite a looker (whip out your cameras), portion is generous with a huge drumstick lying across, and two ladies may be able to share it. 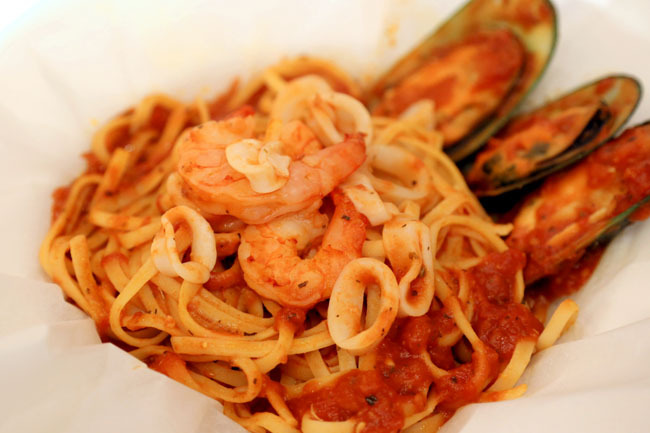 The parchment paper helps to keep the heat in and for the spaghetti to absorb the seasoning more evenly. This also makes the chicken meat a lot more tender-licious-moist. Now for the good news: These 3 new pastas have been launched at all 25 dine-in Pizza Hut outlets and you will enjoy a free personal pan pizza with every pasta dish ordered. Two good things for the price of one? I am eyeing the Seafood Parchment Pasta next! Check out the Full Menu of Pizza Hut! ← Old Chang Kee Launches Self Service System. Question Is: Will You Accept It?